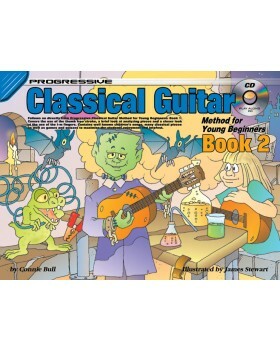 Follows on directly from Progressive Classical Guitar Method For Young Beginners Book 1. Covers the use of the thumb free stroke, a brief look at analyzing pieces and a closer look at the use of the i-m fingers. 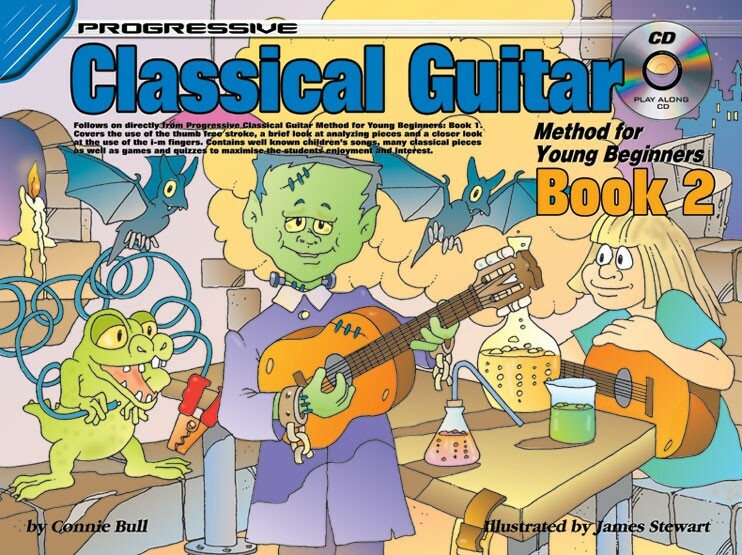 Contains well known children's songs, many classical pieces as well as games and quizzes to maximize the students enjoyment and interest.